One way to keep boots from falling is to wear knee high socks under them. The term "uncomfortable" perhaps isn't descriptive enough to describe the awkward feeling of a pair of boots sliding down and pooling around the ankles. This experience can happen with many types of boots -- though generally not with boots made from very stiff material or which reach the knee. You can prevent boots from sliding down with some know-how. Protect boots made of leather in advance so they do not stretch. Heating and drying leather boots in warm causes heat damage which can result in stretching, increasing the propensity for boots to slide down. Dry leather boots in a mild climate away from heat. Use a boot tree. 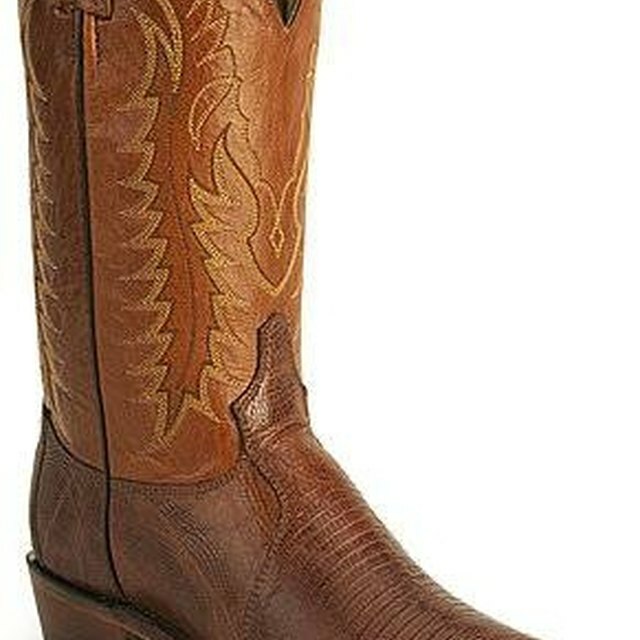 Keep boots designed in a particularly slim, curved or wide style in a boot tree when they are not being worn. The boot tree will preserve the shape of the boot. Wear non-stick high socks with boots that extend further up the legs than the boot. You can also wear non-stick nylons under boots to prevent them from sliding down. Wrap your calves or legs with body tape or double-sided masking tape to secure the boots to your skin as a short term solution to securing boots. In a pinch, you can substitute duct tape for body tape to keep boots from falling. Jen Randall has been a writer and editor since 2004. She has worked as a newspaper reporter, academic editor, freelance blogger and ghostwriter, covering education, art and design, fashion, culture and society. Randall earned her Bachelor of Arts in comparative history from the University of Washington. How Do I Preserve Python Skin Boots?